Eine der Schönheiten in der Möwen-Familie, ist die Schwalbenmöwe (Xema sabini), die selten in Westeuropa vom Festland aus gesehen wird. Allerdings kann man sie auf pelagischen (off-shore) Fahrten mit dem Schiff oder von exponierten Beobachtungspunkten vor allem im Herbst beobachten. Schwalbenmöwen brüten auf Tundra an den Küsten der arktischen Meere. Sie zieht vor allem über die hohe See. Many species of larks are one of the big treasures of Morocco. If you want to see the most larks in the Western Palearctic (in quality and even in quantity) you have to go for that north-african country which besides the larks offer much more birdingwise. 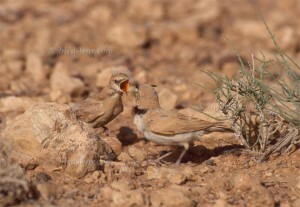 Beginning of June might be regarded as already quite late to look for birds in a desert called Tagdilt, Morocco. 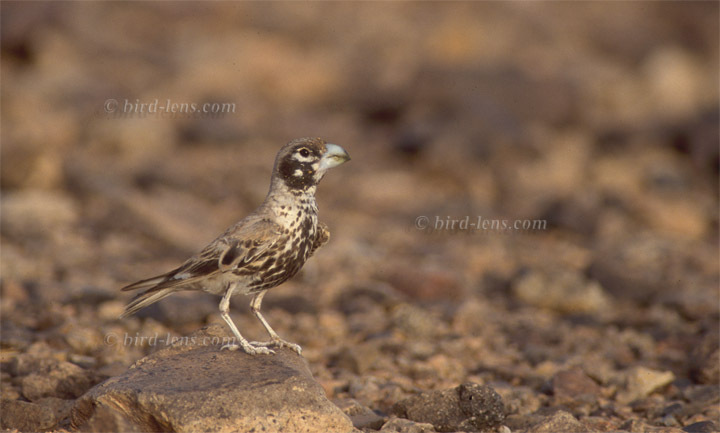 But the Temminck’s Lark (Eremophila bilopha), a bird of dry open country, preferably semi-desert is hatching the offspring at that time of the year. 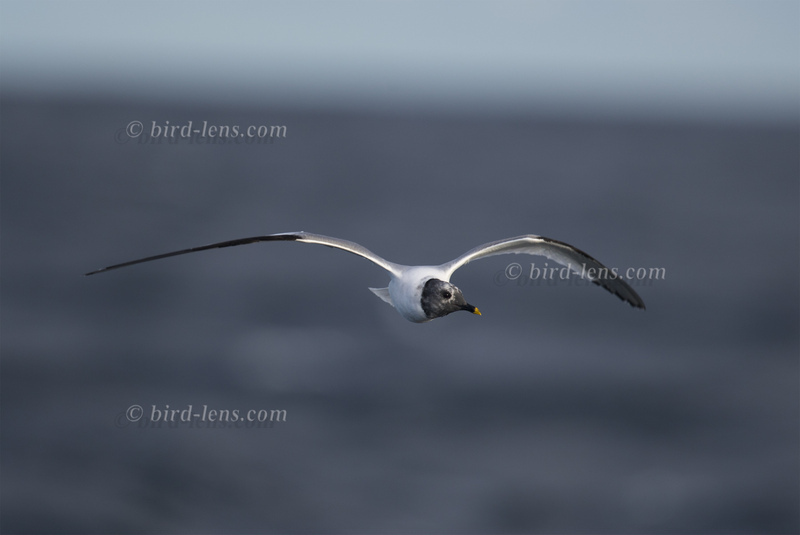 Thus a good chance to take images of adult and young birds of this species. 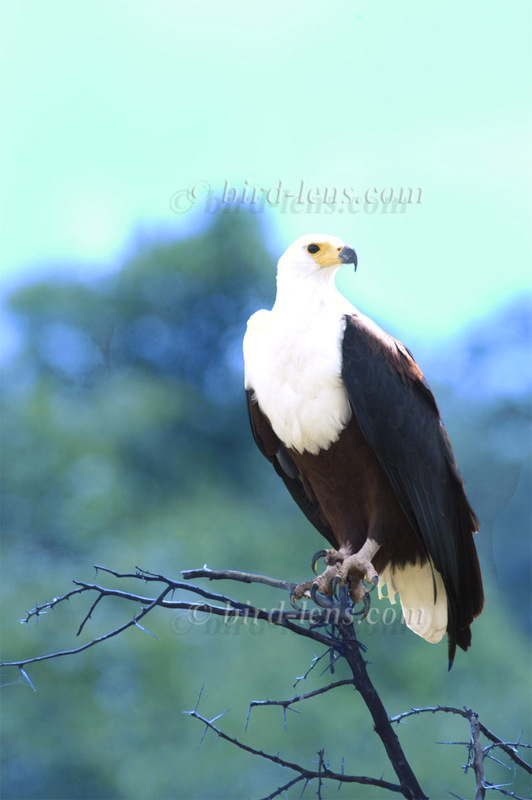 When I arrived on a barren stony desert near the town of Boumalne du Dades I a saw an adult species first. 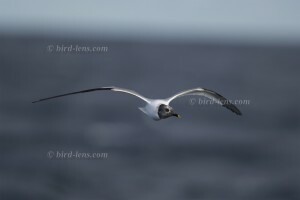 After a while I found a juvenile individual still with white ear-feathers in the same area, too. From inside the SUV I could photograph these usually shy birds from the immediate vicinity, although – after feeding – they always ran away pretty quickly. Again and again I had to move & stop the jeep. I only had a chance, if I could catch the moment when they to come to feed the chick. Here you see more! Beginning of June might be regarded as already quite late to look for birds in the deserts of Boumalne du Dades (called Tagdilt), Morocco. But The Cream-colored Courser (Cursorius cursor) a bird of dry open country, preferably semi-desert is hatching the offspring at that time of the year. 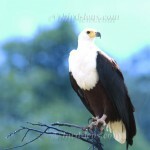 Thus a good chance to take images of adult and young birds of this species. Here you see more! Fortunately the spring 2002 had been quite rainy and the desert was still green enough to provide this very special wader in the pratincole and courser family with enough insect prey which is typically hunted by erratic running on the ground. 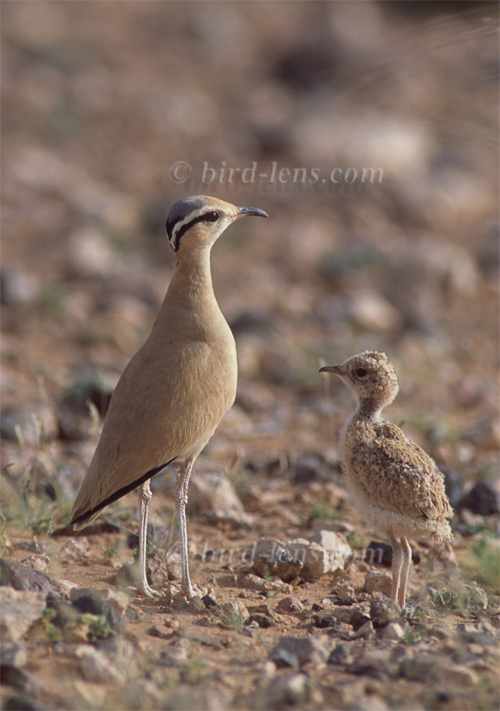 Looking for larks, I spend a whole afternoon on a plateau at 1,600 m above sea level at the edge of the mountains called Ibel Sarhro when I stumbled over a pair of the Cream-colored Courser which explored the area with young chicks. After a while I found a juvenile individual in the same area, too. From inside the SUV I could photograph these usually shy birds from the immediate vicinity, although they always ran away pretty quickly. They moved on to the rocky, stony ground even faster than the Greater Hoopoe-Lark (Alaemon alaudipes), I had photographed some minutes before in more or less the same area. Again and again I had to move & stop the jeep. I only had a chance, if I catch the moment when they to come to an abrupt stop. This worked best with the parents, because the young were even more mobile.